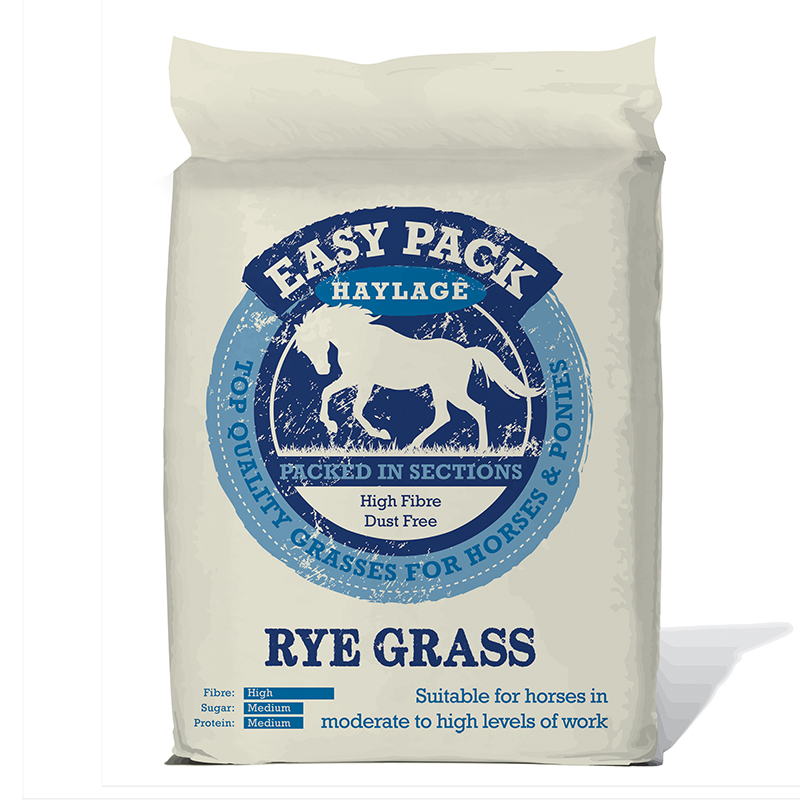 Easy Pack has each product analysed by an independent company, click here for an Easy Pack Haylage – Rye Grass Analysis. For a slightly lower sugar level we recommend our Meadow Product Range. Our Meadow range is suited to active horses or those that need to gain condition. 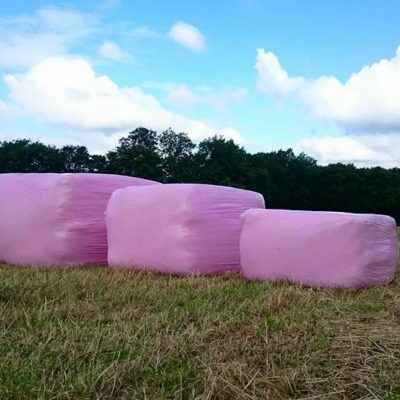 Unlike hay, which is dried, haylage is made from wilted grass compressed and packaged into airtight bales covered in a tough plastic. This process enables the haylage to go into a steady state of fermentation, stabilizing the grasses’ pH levels, increases palatability, while maintaining all of the grasses’ nutritional benefits. This method of baling preserves the haylage creating a safe product for horses. Once opened it will need to be consumed within 2 to 4 days depending on the outside temperature. 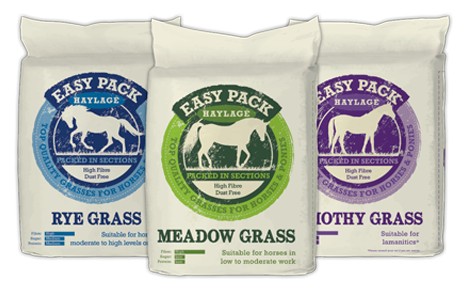 If produced and packaged correctly, haylage is an excellent choice of highly digestible forage packed with valuable nutrition. Haylage has a higher water content than hay, making it heavier. When substituting for hay, haylage should be given on a weight for weight basis. For horses that eat quickly it is recommended to split the ration into smaller portions and given throughout the day. Haylage nets, which have smaller holes than conventional hay nets, can also be used to make your haylage last longer. Reduces the need for hard feed. Provides a constantly high quality grass. Good quality protein without the bulk. Allowing a more natural form of feeding for a happier and healthier horse.